Flat glass is a rather common type of glass, known for being the type of glass that is found in windows and other similar applications. Flat glass is also known as sheet glass or even plate glass. In fact, because of its variety of uses and relatively low cost, flat glass is one of the most common types of glass in the world today. 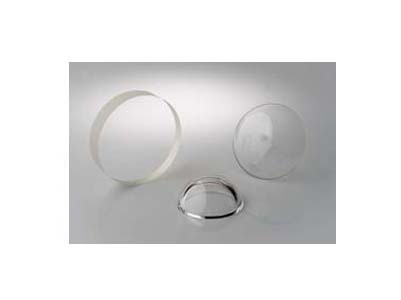 Flat Glass – S & S Optical Company, Inc.
That being said there are still a number of things to consider before purchasing flat glass, as it all depends on your application and what function you want your flat glass to have. Relaying these concerns and desires to a knowledgeable flat glass manufacturer will get you moving in the right direction to receive a flat glass product that is a great fit for your application. Essentially all flat glass products are made using the same basic process. Sand is the main material from which flat glass is manufactured, and while most people know that flat glass is made from sand, many people do not know how much work goes into turning sand into a window or other manufactured glass product. In order to make flat glass, sand and a few other materials are melted down in a furnace creating a liquid which will become the solid sheet of glass later on. Once the liquid glass is taken out of the furnace, it is formed into the desired thickness using special machines and it is then moved on liquid tin. The glass eventually hardens while still on the liquid tin, but the tin itself remains a liquid because its hardening point is much lower than flat glasses hardening point. Once the glass is fully hardened it needs to be cut to size according to the specifications of the customer’s application. Instead of using laser cutting, flat glass is often scored with a tool and then cleanly broken into individual pieces along this score line. This is why finding a proper flat glass manufacturer is so important to getting the right piece of glass for your application as a lot goes into the processes of manufacturing flat glass. Knowing your application and desires is a great way to help your flat glass manufacturer design a piece of glass that is right for your needs and specifications. Flat Glass Flat glass is a rather common type of glass, known for being the type of glass that is found in windows and other similar applications. 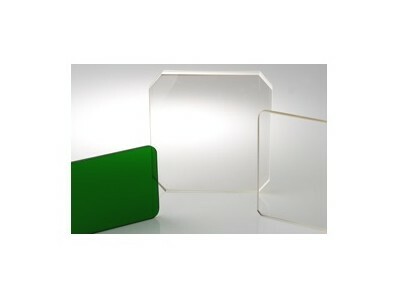 Flat glass is also known as sheet glass or even plate glass.